In memory of the victims of murderers just sent home. Morris “Moshe” Eisenstadt was born in Brooklyn in 1914; he immigrated to Israel late in life, and volunteered for many years at a hospital in a suburb of Tel Aviv. Eisenstadt was sitting on a park bench reading a book when Ibrahim Salem Ali al-Rai attacked and killed him with an axe in 1994. He was 79 years old. Isaac Rotenberg was born in Poland in 1927. In the course of the Holocaust he was sent to the Sobibor death camp, but managed to escape in 1943 when Sobibor’s inmates rose up against the Nazis. Rotenberg ultimately fought the German army with the Partisans and, after arriving in Israel, worked in construction. He was on his knees repairing a floor when Salem Ali Atiyeh Abu-Musa and another assailant attacked and killed him with axes in 1994. He was 67. Annie Ley came from France as a tourist in 1991; Mohammed Ahmed Khaled Asakreh stabbed her to death in Bethlehem, reportedly as she ate in the restaurant at which he worked. Ley was 64. Her murderer, along with al-Rai, Abu-Musa, and 23 other prisoners were released from prison by Israel earlier this week, as a good will gesture to its Palestinian negotiating partners. Each of these attacks happened when I lived in Israel, and many others as well. I wasn’t able to fully grasp the horror at the time, and I’m not able to do so now. I don’t understand what it takes to pick up an axe and murder an old man on a park bench, any more than I understand what it takes to wrap oneself in explosives and rip a crowded bus to bloody shreds. I understand that this is a war. When soldiers are killed, I mourn, but at least I understand the mechanism at hand: We kill their combatants, they kill ours. Parents remember nothing but chubby cheeks and expressions of love; enemies remember nothing but the other side’s willingness to kill me and mine. I also understand that me and mine have killed a wildly disproportionate number of them and theirs, many of them non-combatants, at least a third of them minors. Dr. Izzeldin Abuelaish can tell you about the three daughters and a niece he lost when an Israeli tank targeted his Gaza home during Operation Cast Lead; a shell ripped through a wall: “Schoolbooks, dolls, running shoes, and pieces of wood were splintered in a heap…. There was brain matter on the ceiling.” (And don’t tell me those deaths were “unintentional”—look Dr. Abuelaish in the eye, and tell him). I believe that human beings can only make peace with their enemies. I believe that Israelis and Palestinians will have to forgive, or at least look past, terrible acts and tremendous loss if we are ever to stop the cycle of violence. I believe that the release of terrorists who murdered wholly innocent people was the right thing to do, if it will genuinely bring us closer to the possibility of a lasting peace. 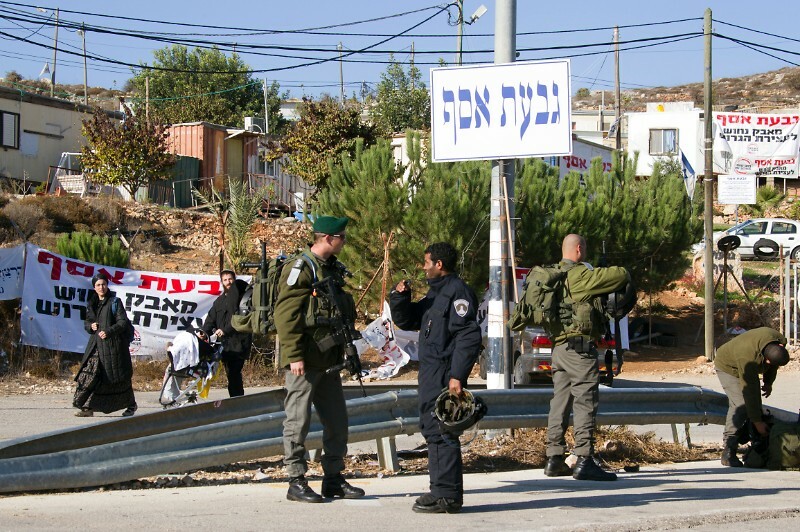 Israelis often fail to understand the importance of the issue. The Palestinian prisoner population is massive, and not all are held with as much justification as those who murder Holocaust survivors and French tourists. Israel has long used the collective and individual fates of these men (and a handful of women) as a bargaining chip, and it’s doing so again—not meting out justice, but rather issuing open-ended punishments unless and until the state decides it’s in its own best interest to do something else. Israelis tend to underestimate the resonance of all this for the Palestinian people; it might be worthwhile to consider how much effort we put into returning the bones of fallen soldiers to our borders. Many in the Arab nations see those soldiers in no better light than we see the Palestinians released on Wednesday—one can argue with that perception, but arguing won’t change the fact. And, for all that—for all that I believe the prisoner release was justifiable and smart—I do not believe that we are free to dismiss what those men did. I do not believe that we are free to ignore any of the humanity that has spilled on the ground as we have fought, and fought, and fought, using each other’s bodies as the tools by which to achieve our various ends. Morris Eisenstadt, Isaac Rotenberg, and Annie Ley, and all those like them, did not deserve to die in abject terror as murderous hands descended. They deserved to reach the end of their days in peace and comfort, surrounded by love and goodness. No matter what John Kerry achieves, the reality of those deaths cannot be reversed. It was right to release the prisoners. And it is right to never forget what they cost us. A note about names and biographical information: Much of the published information regarding the prisoner release is at least slightly inaccurate—many sources have misspelled names, and at least one Israeli outlet identified Morris Eisenstadt as “a soldier.” In an effort to be as accurate as possible, I have leaned on and cross-referenced Israeli governmental sources for event details, Haaretz for the English transliteration of Arabic names, and a variety of English-language sources for the English spelling of victims’ names. I remain unsure as to whether Eisenstadt went by “Morris” or “Moshe,” so I have included both. Ron Kampeas reported on Thursday that AIPAC’s official endorsement of the U.S. push for a two-state resolution to the Israeli-Palestinian conflict is (a) three sentences long, (b) buried on the organization’s website, and (c) appears to have been shared only with those who cared enough to seek it out. Yet back in June, AIPAC’s president gave John Kerry’s diplomacy a reportedly “hearty” endorsement in a meeting with U.S. Senators—and furthermore AIPAC was in the room when Kerry and Martin Indyk briefed American Jewish leaders on their progress, also on Thursday. What this brings to mind for me is a different Kampeas story, from February: AIPAC’s failure to mention the conflict in its annual legislative agenda. Israel’s special relationship with America? Check. U.S. security aid to Israel? Check. Iran? Check. (Double-check, actually, as the topic of Iran took up two of the four slots on the agenda). The conflict that has defined and shaped Israel since its inception? Quietly buried in a panel discussion. And of course, there’s this: Twenty years ago, when the Oslo Accords were the newest game in town, AIPAC was outright hostile to Rabin’s efforts, and actively worked to undermine them. In 2007, on the other hand, one of the organization’s biggest donors, Sheldon Adelson, abandoned ship over a letter calling for increased aid to the Palestinian Authority. And then there was AIPAC’s opposition to the modest (and Potemkin-esque) settlement freeze during Obama’s first term. Which is to say: AIPAC has a pattern of opposing any movement that might promote an equitable peace, and getting slapped when it fails to do so sufficiently. It might be worth noting, in this context, that the Senators before whom president Michael Kassen heartily endorsed renewed peace talks were all Democrats; would his endorsement have carried the same heartiness if he had been standing in front of, say, House Republicans? Putting aside the question of whether or not elected U..S representatives ought to meet with an ally’s cut-rate, self-appointed diplomats as they work to make America’s own foreign policy goals unachievable; putting aside whether or not Dani Dayan should be in a position to tell the U.S. Congress what conversation to have with the US Department of State; putting aside who might have a better grasp of America’s best interests (Israeli settlers or U.S. generals)—it’s clear why AIPAC might feel a need to be circumspect about its endorsement, hearty or begrudging. 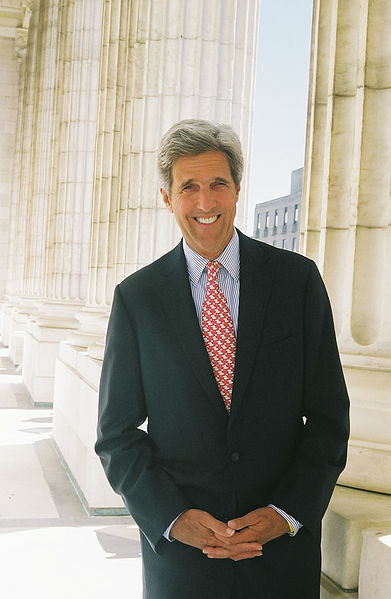 Which might, in fact, suit John Kerry just fine. The Secretary of State has made it abundantly clear that he wants this whole process to be as drama-free as humanly possible. He’s made it abundantly clear that he wants no leaks, no rumors, and nothing that might give the naysayers a chance to pull the process down before it even gets to its feet. Having American Jewish leaders over to the White House a week before talks are meant to get underway was a very astute move, giving those leaders a slice of ownership in what Kerry’s doing, while possibly mollifying those who might support the Just Say No crowd. I’ve said it before, I’ll say it again: John Kerry knows a thing or two. Whether or not AIPAC’s leaders have changed their spots and are suddenly on board with all that a two-state agreement will entail (national boundaries based on the 1967 borders; a shared Jerusalem; and a mutually-agreed resolution of the refugee issue) is still, clearly, up in the air. I rather doubt it myself. But if John Kerry can keep AIPAC quiet, I don’t need it to shout support from the roof tops. Saying one thing while signaling another and then perhaps saying something else again is how many, many stakeholders will be playing things in the coming months, and AIPAC and its rejectionist backers have never represented this American-Israeli Jew in any way, shape, or form. All I need from AIPAC is for it to not aid those who are trying to destroy what may well be Israel’s last chance for peace. Because my home and my people deserve that peace, and they really need it. The case for a less-guarded optimism. We waited nearly an hour, and then it lasted for all of 16 minutes. John Kerry’s press conference with negotiators Tzipi Livni and Saeb Erekat was very like his shuttle diplomacy—a lot of waiting, a false beginning, and finally, one step forward, with very little information attached. Here’s what we know: Formal negotiations will begin in the next two weeks, either in Israel or in the Palestinian territories; the parties have agreed that “all final status issues, core issues and other issues” are on the table, with the goal of ending claims against each other; the Arab League has reaffirmed its Peace Initiative, which offers an end to regional conflict in exchange for a two-state peace; the only person authorized to make statements on the process is the Secretary of State; the deadline is nine months from now. Those last two points should make folks sit up a little straighter. One of the biggest mistakes made in the past has been to establish long, essentially open-ended timelines that allowed spoilers to do their work (whether via political maneuvering, or violence—suicide bombings, assassination, intifada, military incursions, etc), while also allowing Israel to deepen the occupation even as it sat at a go-nowhere negotiating table. One of the other biggest mistakes has been to let anyone and everyone run their mouths about it. So what Kerry has done is create both less space, and more space. Less space for jerking the process around for domestic consumption, more space for creativity and (dare I say it?) bold decision making. Less space in which terrible things can happen that might drain the peoples’ willingness to accept the process and its outcome, more space for the political cover anyone negotiating an end to decades of violence needs. I’ve lately taken to describing my approach to Kerry’s efforts as one of guarded pessimism. I’ve been on this merry-go-round since 1993, and there’s nothing like two decades of resounding failure to make a person lose her hope—but like Kerry himself, I believe that outright skepticism is a luxury that we can’t afford. The Secretary of State clearly knows what he’s up against, and as a veteran of the Senate, it seems he also has some skill negotiating delicate matters among folks who loathe each other. Finally, and I know this is a small thing but it speaks volumes to me: Kerry’s actually been to Gaza. Unlike the vast majority of American leaders who bloviate on the Israeli-Palestinian conflict, John Kerry made the politically unpopular choice to travel across the gin the wake of Israel’s 2008/2009 Gaza War to witness what the conflict has meant, not only for Israelis, but for Palestinians, too. John Kerry means business, and though their comments were brief, it seems that Livni and Erekat also mean business. Mahmoud Abbas has supported a two-state solution since 1977; Benjamin Netanyahu has begun to make it sound like maybe he’s not as opposed as he used to be. President Obama went out of his way this morning to make it clear that he, too, means business. Everyone involved has their reasons for being involved, and some of those reasons are petty. The ways in which the whole thing could fall apart are myriad. History gives us very little reason to hope. But in the wake of this morning’s press conference, my pessimism is less guarded* than it was. Let’s see what you can do, Mr. Secretary. Next April would be a lovely time to re-write the future. *Many hours after writing this line, I realized that I’d been too clever by half — I am more guarded in my pessimism, because I am less pessimistic. And any line that requires that many mental somersaults has not been well constructed and dang if I don’t wish I’d written it differently! Alas. Kerry’s talks: Diplomatic snafu or carefully orchestrated mess? I would also recommend that you read Yousef Munnayer, also at Open Zion, on the same series of events. Indeed, if you only have time to read one post, read his. Yesterday proved to be one of those days that Israel/Palestine watchers alternatively thrive on and dread. 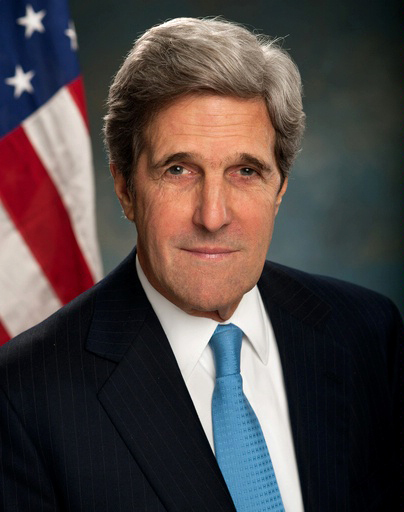 U.S. Secretary of State John Kerry is to announce a resumption of talks on Friday! Influential Israeli cabinet member Naftali Bennett says his party won’t remain in the government “for so much as a second” if the Prime Minister agrees! Wait, it may all be moot, because the PLO has deferred its decision about restarting talks until Israel agrees to the terms Kerry is suggesting! And all this before lunch on the East Coast. The Palestinians are entitled to say that they will not accept the principle of Israel as a Jewish state, and the Israelis can say they are not prepared to return to the 1967 lines. Despite any opposition voiced, however, the two sides are expected to return to the negotiating table. Heretofore, though, the Kerry team has been very, very good at preventing any real information emerging from his shuttle diplomacy, with the apparent understanding that running ideas up flagpoles is an excellent way to get them shot down. It may be of note, then, that the person who told the world this news was a senior Israeli official. I’ve been working under the assumption all along that Kerry has been conducting a very delicate game of Chicken, knowing that neither side wanted to be the first to voice any version of “no”—did someone in the Israeli government want to push the PLO to do just that? I ask the question not because I know that to be the case, but because in my experience it would make a lot of sense (Palestinians have done the same to Israel in the past; it’s a time-honored tactic). It’s not impossible that Kerry really thought he had an agreement in place, and the PLO upset his applecart. Or, maybe the game of Chicken continues. Maybe Kerry wanted to push Israel’s right flank into being brutally frank about its position on two-state negotiations, while simultaneously reminding everyone involved that there is genuinely no way forward without the 1967 borders as the starting point. By agreeing to that starting point, the Palestinians concede that Israel won the war, and that they will make do with a bifurcated state in 22 percent of their historic homeland—to try to wring anything more out of the Palestinian leadership would not only be morally and ethically indefensible, it would be political suicide for any Palestinian who agreed. In the world of Middle East diplomacy, the lack of the word “the” in the above formulation is of some consequence, because it leaves the question open: All of the territories? Or just some of them? (Choosing to not use the word “the” is something of a tradition in the region—cough*Balfour*cough). Yet 242 and 338 cannot be taken as meaning that the borders aren’t the starting point for withdrawal—that’s what starting point means. You start, and then you talk, and then you reach an agreement. Was this whole mess carefully orchestrated? Was it a diplomatic snafu? Will it ultimately mean anything? I honestly don’t know. I am not now, nor have I ever been, a skeptic of the type called out so eloquently by Jeremy Ben Ami the other day—I would never, ever say “there’s no point to this exercise, stop trying.” I believe that the future of the Israeli and Palestinian peoples depend on a successful negotiation of a two-state resolution. And yet I don’t really know any more if it’ll ever work, if only because these kinds of days are what pass for diplomacy at this point: A bunch of high-level fussing and squabbling over whether or not people will even sit at the same table, all while my Israeli government maneuvers to consistently make the terms less tenable for our interlocutors by (among other things) building on their land. I don’t doubt John Kerry’s sincerity, but when it comes to this conflict, I’ve ridden the merry-go-round too many times to be the dewy-eyed peacenik I once was. Today’s mess is a powerful indication of what the Secretary of State is up against. My only hope is that he really, really knows what he’s doing.